Having a desktop or laptop computer that’s beginning to show signs of slowing down can be a headache. Not only does it take longer to get things done, the tedium of waiting for things to happen isn’t great for productivity either. For work purposes it therefore makes a lot of sense to spend a little on a few fixes, accessories and add-ons for beefing up performance. You’ll also benefit from these suggestions if you tend to only use your PC or laptop for more leisurely pursuits. However, most of us tend to use our machines to do a little bit of everything, so it makes good sense to shell out for one or two efficiency-boosting gizmos and gadgets in order to milk every last drop of performance goodness from our computers. Investing in a Solid State Drive (SSD) makes a great deal of sense. It’s a quick and easy way of increasing the storage space on your machine and they’re much more efficient too. Laptops in particular benefit from having an SSD on-board instead of a conventional style hard disk because there are no moving parts, which are often susceptible to failure during the rough and tumble that laptops have to go through. Home computers and laptops can tend to slow up the more full the hard drive gets. So, one remedy to ease up that logjam of data is to move files and folders to an external hard drive. 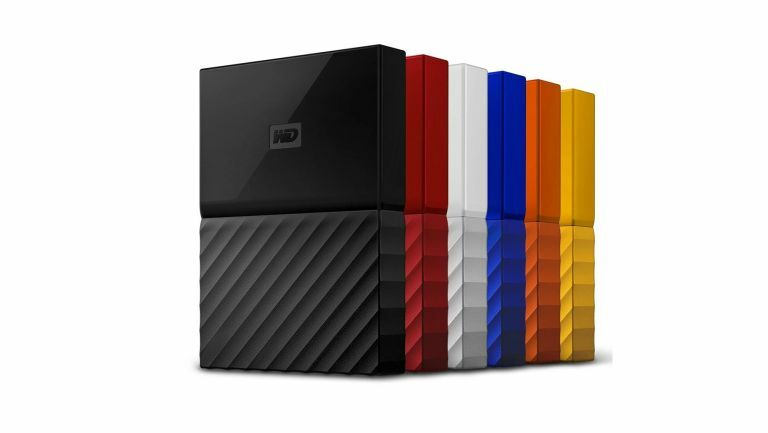 This WD model delivers a whopping 4 Terabytes of extra space and an auto backup facility means that you’ll always have a copy of anything and everything that’s important and needs preserving. Slow and sluggish computers can be easily revitalised with an injection of fresh Random Access Memory or RAM. These chunks of computing ‘brain’ can generally be fitted with ease, as long as you have available slots inside your computer. The reward is often speedier performance and a more efficient completion of tasks, which often outweighs the relatively low cost of buying the RAM in the first place. Any kind of computer will generate heat and too much will have a negative effect on performance. Even more could render it unusable and certainly make it work unpredictably. So, remove that element of stress with a temperature lowering laptop cooling pad. This TeckNet example works in harmony with a raft of popular brands and models, aids efficiency and looks pretty cool into the bargain. If you’ve got all sorts of additional media that you hook up to your machine then an all-in-one card reader reduces all the faff. This is a one-stop-shop location that you can dip in and out of quickly and easily. It costs peanuts but what you’ll gain in time saving efficiency is priceless. You’ll also be able to use it to offload some data if you’ve got a built-in hard drive that is getting sluggish due to over capacity. If you’ve got a penchant for productivity then try upgrading your mouse. This awesome model from Logitech is aimed at gamers and offers a wealth of extra functionality. Add to that its lightning-quick wireless connectivity and ergonomically-friendly design and you’ve got a peripheral that can transform the way you use your desktop computer or laptop. Believe it or not all those rogue crumbs that drop into your keyboard or laptop can have a detrimental effect on its performance over time. In fact, high levels of detritus such as fluff and hair can end up causing keyboards to malfunction or stop working altogether. So, for a few quid this funky little gadget can lift out all that gunk and get your keyboard keys back to full functionality. It’s not always easy or practical to have your laptop in the right position so you can use it efficiently. So, this very cool new stand is perfect for allowing plenty of air to circulate around your laptop but it’s also portable enough to take with you on your travels. Better still, it lets you position your machine in the way that suits you while also keeping your posture in good shape. Simple, but surprisingly beneficial to productivity. If you’re a laptop user then you’ll know just how crucial decent battery life can be, especially if you’re out and about a lot. Older batteries do lose their edge, so it might be worth splurging and getting a new one to inject some new life into your machine. You’ll need to ensure compatibility with your model but there are plenty of generic options out there on the market. Your computer hardware is a big investment and the data on any machine is often invaluable. So, it’s well worth spending a few quid on a surge protection device. A multiple socket version allows you to deliver surge protection to a stack of machines, consoles and peripherals. This model also has neon lights indicating surge protection is on. If you’re a bit of a skinflint then chances are you might have been running free software on your machine to save money. This is actually false economy as some freeware out there comes packed with advertising, so until you buy it your productivity is going to be hampered by intrusive sales pitches. Buy bona fide software like this bumper Microsoft Office 365 Home Premium package that lets you use it on 5PCs/Macs and a tablet for one year. Better still, it comes with an awesome Microsoft Arc Touch Bluetooth Mouse. And, with cyber attacks on the increase, it goes without saying that your machine will also benefit from the latest security software package. Again, the cost is small beer when it comes to ensuring your computer is clean-running and unaffected by hidden threats. If you’ve got a few devices then buy a package that will work on all of them, keeping you safe, secure and fully updated no matter where you’re heading next.